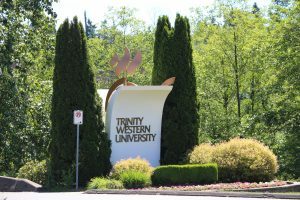 Trinity Western University’s Community Covenant is discriminatory and it hurts. So said Ontario Court of Appeal Justice James C. MacPherson on June 29. He decided that the Covenant, which requires TWU’s student body to abide by a lifestyle in harmony with traditional marriage, “is deeply discriminatory to the LGBTQ community, and it hurts.” As far as he was concerned, based on that hurt, the Law Society of Upper Canada’s denial of accreditation to TWU’s School of Law was reasonable. If TWU’s standards were “sufficient in themselves to justify denying accreditation, it is difficult to see how the same logic would not result in the denial of accreditation to members of a particular church.” That was a very good point by the 2001 Court. You deny the religious university professional accreditation, because of its standards, then logically you must also deny members of a church who hold the same views as that university. It makes sense. It is clear. 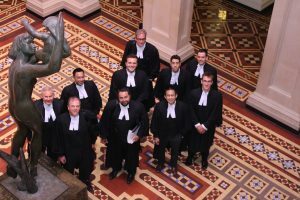 “The diversity of Canadian society,” said the 2001 Court, “is partly reflected in the multiple religious organizations that mark the societal landscape and this diversity of views should be respected.” The Court was interested in maintaining the freedom of Canadians to hold diverse views and be different – even if others are offended – as long as such differences did not go against public policy. Traditional sexual moral views were not deemed to have crossed that line. In other words, we could be different and still live together allowing religious communities to be unlike the secular society but still remain part of the Canadian mosaic. That was then. Justice MacPherson’s views are the new now – because it is 2016 perhaps. Times have changed. 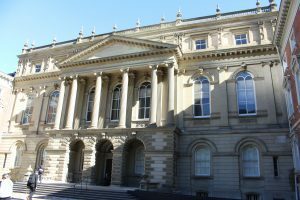 No longer do those views of the 2001 Supreme Court hold sway – not for the Ontario Courts and the Law Society of Upper Canada. In 2016, the question is the whether a law society can accredit TWU’s law program in light of TWU’s requirement that applicants have to sign the Community Covenant. Catch the difference? It’s there, but rather opaque. Conveniently overlooked in this technical argument is the fact that the Supreme Court in 2001 did turn its mind to the admissions requirement and ruled, as noted above, that there is a cost but in Canada we are willing to agree to disagree and move on. That does not diminish one person’s hurt because of another’s offensive view. Rather, offense is not, and should never be, the basis for removing a constitutional right. What kind of society are we going to be when offence becomes the rationale to take away another’s right? At one time, the majority were so offended by the sexual activity of others that rights were denied. Now the tables have turned – those in power are denying the religious freedom of those whose sexual norms are centred on traditional marriage. Perhaps we have yet to learn the lesson. What if, the tables turn again – as they often do in human history? Offence is a poor substitute for law. TWU, unlike the Law Society of Upper Canada, is on the wrong side of history – for now. “The benchers knew,” wrote Justice MacPherson, “that they were making an historic decision.” Historic indeed. When the final history of this case is written we will learn a lot about the state of the law in Canada. Whether the Supreme Court of Canada decisions have a longer shelf life than 15 years. Whether private religious institutions, not subject to the Charter, can suddenly become subject to the Charter by an indirect means. Whether we are a country that has a plurality of religious views or whether the religious citizens must all give credence to the state’s definition of sexual morality. History will also be changed as the Charter becomes the “blueprint for moral conformity” as Justice Jamie S. Campbell warned in his Nova Scotia decision. Justice MacPherson’s decision has the effect of saddling private religious organizations with the burden of the Charter as is the government. Under such a regime human rights legislation becomes redundant. All private entities must ensure total equality. No more distinctions. That prospect will now challenge the very notion of Canada’s plural society. Religious communities can no longer rely on the protection of the Charter for their right to practice their distinctive religious faith. A government agency, such as the Law Society of Upper Canada, now has the full sway to determine what religious practice is “reasonable,” and do so based on subjective popular opinion of what is offensive. This is a total rewriting of our law. It is a total rewriting of the Constitutional protection of religious freedom. Welcome to the right side of history… where the offended take away religious freedom. Thank you for sharing, Barry. This is so serious and frightening to me. Even though forwarned, I am amazed my religious freedom can quickly be taken away. How can intelligent people not see the disaster up ahead of such thinking! This is what happens when our Creator’s principles are ignored. God help us all to be of sound mind as we determine to trust Him and love and respect all by His grace and power. It is worth noting that TWU is a private academic institution, students voluntarily choose to enroll, and the “community covenant” does not ban persons that self identify as LGBTQ but merely imposes expectations upon their conduct and behaviour while attending TWU. -The Law Society of Upper Canada (LSUC) denied accreditation to TWU grads on the basis that the covenant presented a discriminatory barrier for the LGBTQ community to access the legal profession. -This logic was upheld by the appeals court. -By so ruling, both the Ontario Court of Appeals and LSUC have implicitly stated that voluntary adherence to a clearly stated code of conduct is an unreasonable discriminatory barrier to members of the LGBTQ community. -Both heterosexuals and non-heterosexuals are asked to voluntarily adopt a code of conduct while a student at the law school. Essentially LSUC and the Appeals Court are saying non-heterosexuals are not able to adopt the same code of conduct that heterosexuals do. -In other words, they hold a bigoted opinion that LGBTQ persons are incapable of controlling their behavior.